Cell lines provide an important biological tool for carrying out investigations into physiology, virology, toxicology, carcinogenesis and transgenics. Teleost fish cell lines have been developed from a broad range of tissues such as ovary, fin, swim bladder, heart, spleen, liver, eye muscle, vertebrae, brain, skin. 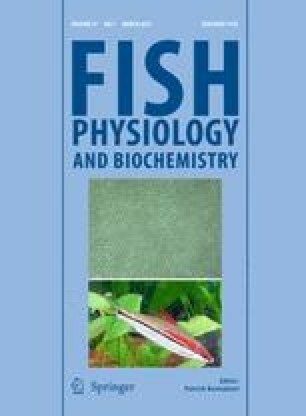 One hundred and twenty-four new fish cell lines from different fish species ranging from grouper to eel have been reported since the last review by Fryer and Lannan (J Tissue Culture Methods 16: 87–94, 1994). Among the cell lines listed, more than 60% were established from species from Asia, which contributes more than 80% of total fish production. This includes 59 cell lines from 19 freshwater, 54 from 22 marine and 11 from 3 brackish water fishes. Presently, about 283 cell lines have been established from finfish around the world. In addition to the listing and a scientific update on new cell lines, the importance of authentication, applications, cross-contamination and implications of overpassaged cell lines has also been discussed in this comprehensive review. The authors feel that the review will serve an updated database for beginners and established researchers in the field of fish cell line research and development. The authors are grateful to Dr. S. Ayyappan, Director General, Indian Council of Agricultural Research for guidance and encouragement. The Department of Biotechnology, Government of India is thankfully acknowledged for financial support. We also thank Dr. A. Gopalakrishnan of NBFGR Kochi Unit for co-operation and literature support.